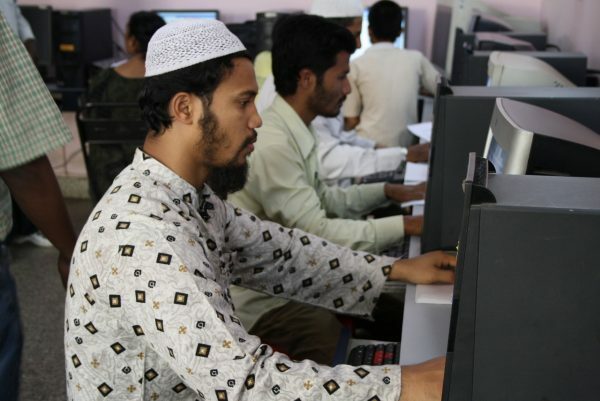 We started the Computer Training Center in Shivajinagar, Bangalore in 2001. Our students are from economically disadvantaged families who are unable to afford learning computers at other private centers – at a nominal sum of Rs 600-900 for a three-month course, our fees are over seven times lower. They also choose to train with us because we have flexible hours to accommodate their school and college schedule. The course here fundamental computers such as MS Office, Internet and email, and students can choose to additionally learn Tally, Adobe Pagemaker and computer hardware. We also have retail skills and spoken English. If a student cannot afford to pay even the nominal fee, we waive it off. We also provide them with books, bags and stationery at free of cost. The center sees an annual enrolment of over 150 students. We have had over 80% pass rate and the employability of the students is also about 80%.